1. Log into Google Admin Console and remove the old Management for Chrome extension. a. Open the Google Admin console and navigate to Device Management. b. On the left-hand navigational menu, click on Chrome Management. c. Click on User Settings. d. Select your organization on the left-hand navigational menu and then scroll down to Apps and Extensions > Force-installed Apps and Extensions. Click on Manage force-installed apps. e. Click Remove to the right of the Management for Chrome extension. 2. 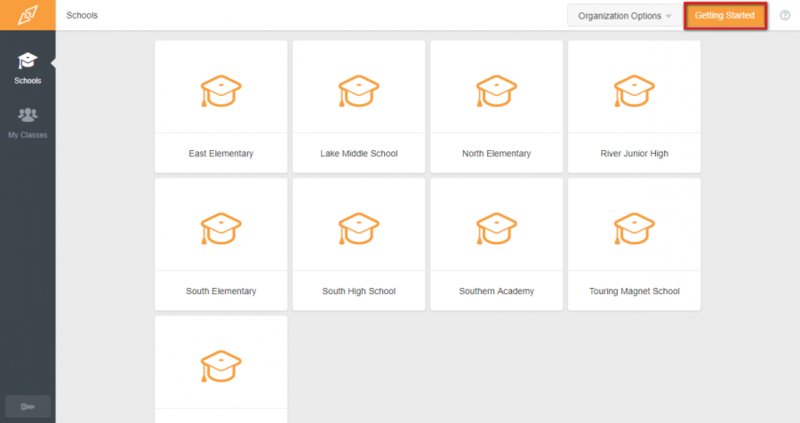 Log into Classroom Orchestrator. Click on the Getting Started option in the top right. 3. Click the Details for Step 1 and follow those instructions. Note: The new Relay Classroom extension is a custom extension and no longer found in the store.